Bunnycopter is an indie game development studio based in Leuven, Belgium. Our first title Broken Bots is currently available on Steam and Playstation 4. Our malfunction guns are locked and loaded! We are proud to announce that we are moving out of Early Access and are releasing Broken Bots TODAY on Steam and Playstation 4. Starting from release day Broken Bots will feature cross-platform play between Steam and Playstation 4. With the latest additions polished and ridden of bugs and malfunctions, Broken Bots features 6 game modes. So battle it out online with up to 12 players in Capture The Flag, King Of The Hill, Team Deathmatch & Crazy King, play with friends in the coop Survival mode, or take on the environment by yourself in the single player Infiltration mode. Each of the 4 available teams features 6 unique bot classes, customizable with 10 different unlockable skills and 10 passives. See you on the battlefield soon! 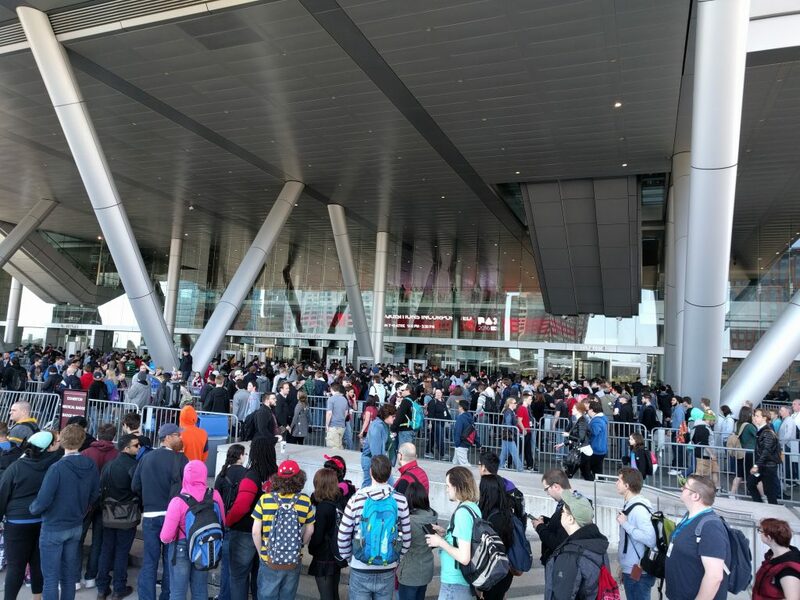 PAX East was great! Thank you to all who stopped by. We hope to see you all again soon. 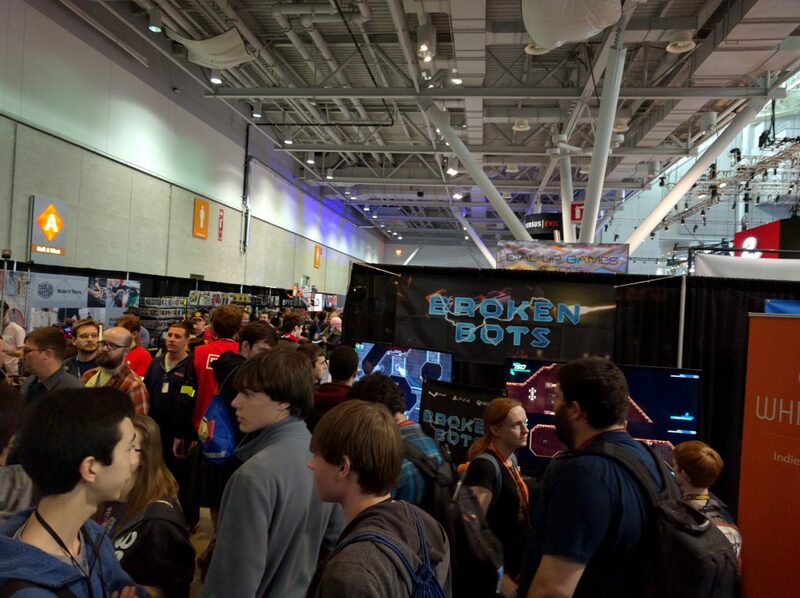 We’re very happy to announce that we’ll be present at PAX East 2016. 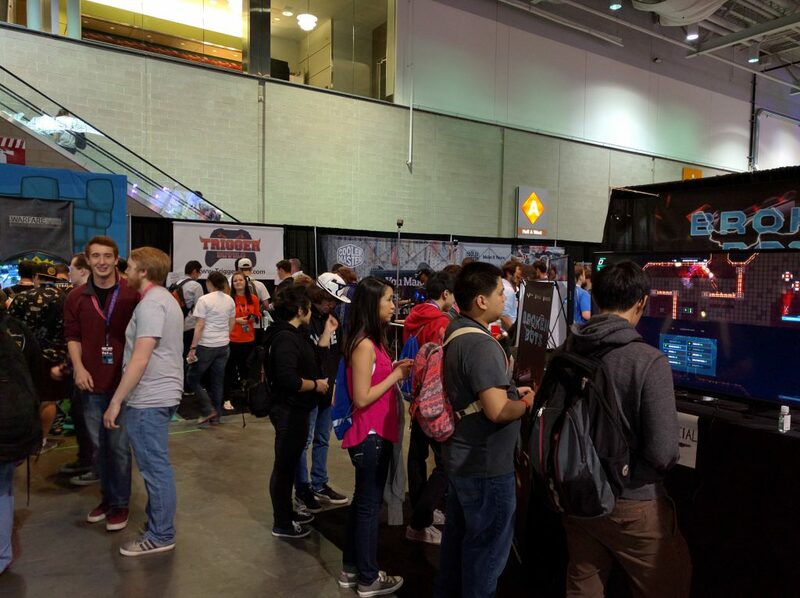 PAX East will take place from April 22nd to April 24th at the Boston Convention and Exhibition Center. 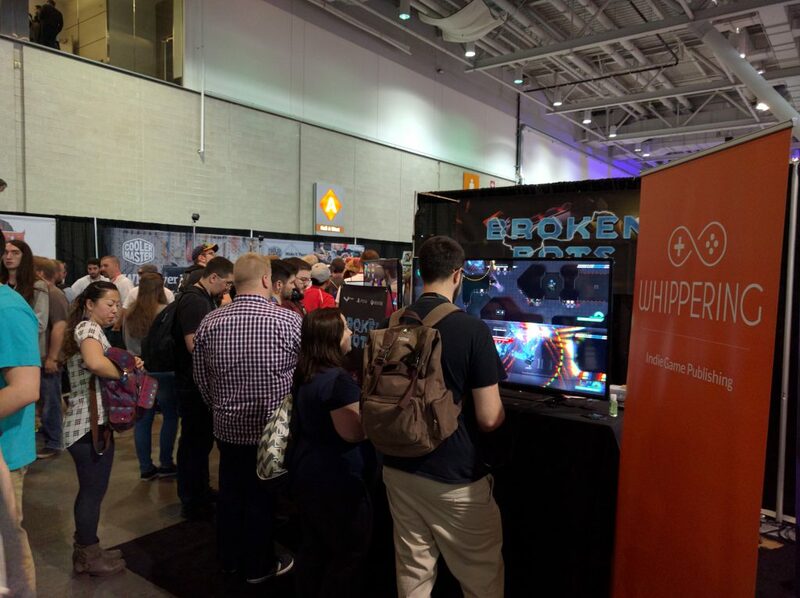 We’ll be demoing the latest version of Broken Bots so be sure to come on down to booth 11120 for a game and a chat! This update is a complete rework of the malfunctions mechanic. We removed most of the randomness and are giving the power back to the player. It’s now up to you to cause negative malfunctions on enemies or positive effects on your teammates. Players now have a malfunction gun. 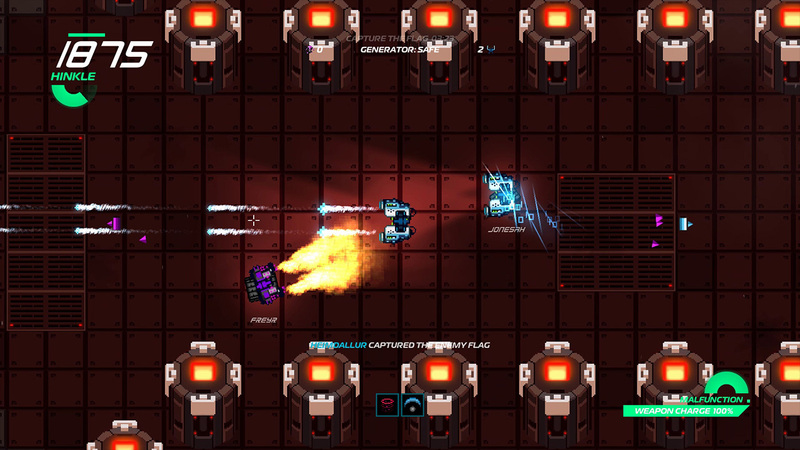 Charge it up by killing enemies and completing objectives. When fully charged, shooting an enemy will give them a negative malfunction while shooting a friendly player will result in a positive malfunction. Malfunctions now spread like a virus. Get close to positive malfunctions to get a piece of the action, but steer away from negative malfunctions! Malfunctions have a better visual effect to distinguish positive (blue) from negative (red) effects. Match time reduced to 5 minutes (from 10). We also introduced new leaderboards to keep things fair (but kept the old ones for bragging rights). Note : Due to the nature of this update, all player preferences will be wiped such as control schemes and resolution settings. Player Stats, Rank and Unlocks will not be affected. Our first major content update has arrived. Introducing the first chapter of the single player campaign consisting of 5 levels including a bossfight. We also added a split screen multiplayer option allowing you to join online battles with up to 4 local players. Just hit ‘start’ on any attached controller while in the main menu to add them to the party. 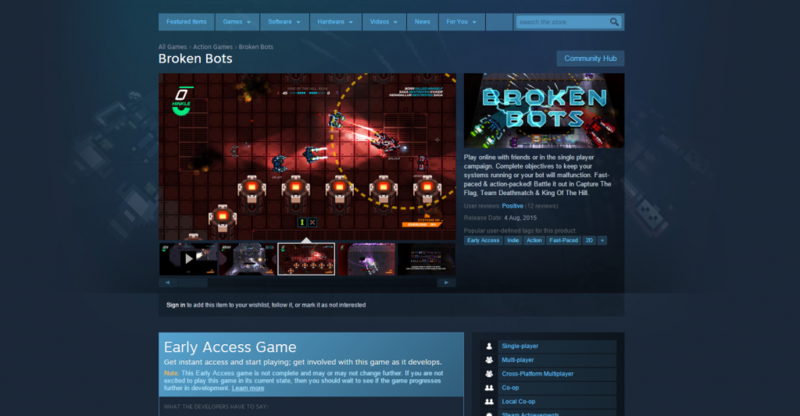 We are proud to announce that the Early Access version of Broken Bots is now available for purchase on Steam. During the Early Access period the game will be available at a discounted price of $6.99. We plan to add new content on a regular basis and add features or adjust mechanics based on player feedback. If you would like to be part of this process head on over to the Steam page and get your copy today. See you on the battlefield! Broken Bots coming to steam! We are pleased to announce that Broken Bots was greenlit by the community and will be coming to Steam for PC, Mac & Linux! We are pleased to announce the launch of our Steam Greenlight campaign, vote for Broken Bots here. Broken Bots Open Beta starts now! The Broken Bots Beta has started! Go to the downloads page to get your game client and join the fray. You don’t even have to worry about grabbing a friend anymore as we now have AI players that will join automatically. That being said, feel free to invite friends and enemies to have fun with you! New secondaries: mines and turrets to help you out while you’re off causing mayhem! So come check it out and let us know what you think (or report any technical issues you may have) over on our forums.